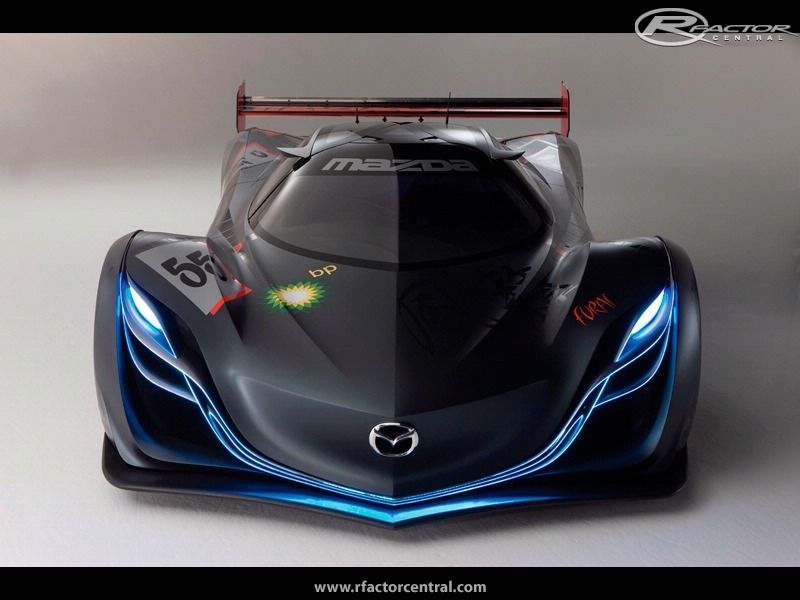 This is a supercar conception from Mazda. It's engine is based on the 1991 Mazda 787B. I will make the car with it's own engine, but I will make an option for update to the engine of the 787B, the R26B. It has one more rotor and plus 250HP. The Furai has a 3 rotor rotary engine with 450HP. The chassis is based on the Courage c65. 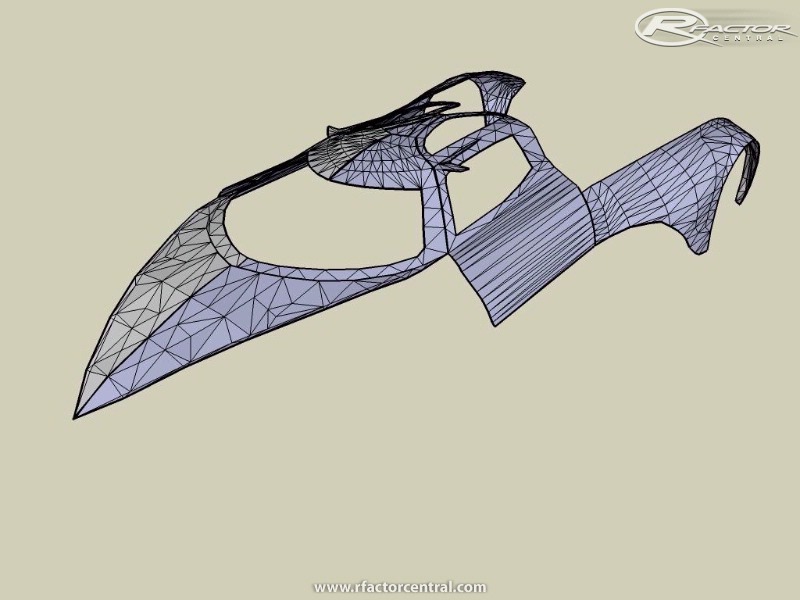 I've got the blueprint now, thanks for it. It is easier now to model the car. I've got the sounds from videos I had found on the internet. I started to make the Mazda Furai mod: I started the searching for informations, images, sounds, etc. I met with ZModeler. I learned how ZModeler works relatively fast. J' am in a hurry d' to test the complete MOD. Heeeeaavy car!!! . Please continue!!. 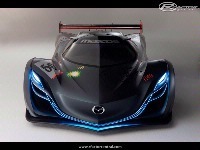 It,s my favorite concept race car!! @ Moderators - Can you allow for me to post pics in the W.I.P. page (says screen shots unavailable) and allow comments please, cheers. como que el 3d no estara bien detallado??? yo te puedo ayudar a modelar o lo que sea, el motor y el chasis del corage c60 o algo asi no sufrieron cambios en la fabricacion de este coche, por lo que sus prestaciones deben ser iguales a las de un p2 o p695 de lms, por lo que deberia de tener al menos 600bhp, aunque tal vez pese un poco mas, este coche nunca participara en ninguna competicion en la vida real, ni tampoco llegara a produccion, solo se fabrico uno y ya, no se haran mas, porque dicen que pornto estara en competicion? al menos en rfactor si! ya no puedo esperar por meanejarlo aunque sea virtualmente!!! en en serio lo de la ayuda, en lo que sea, yo me ofrezco. mazda furai is one of the best designed things man have made, i want to drive it, if you need help with modeling or someting else, i can help, i just wanna see this car mod done, great work!! tried it, and all i can say is CRAP!!!! tyres pop within 5 sec, the texture is waaaaaaaaay to bright, the model is sketchy and incomplete.... need i say more?